Shi Guowei’s pastiche of the famous Arnolfini Wedding by Van Eyck, was exhibited recently at the Albemarle Gallery in London. 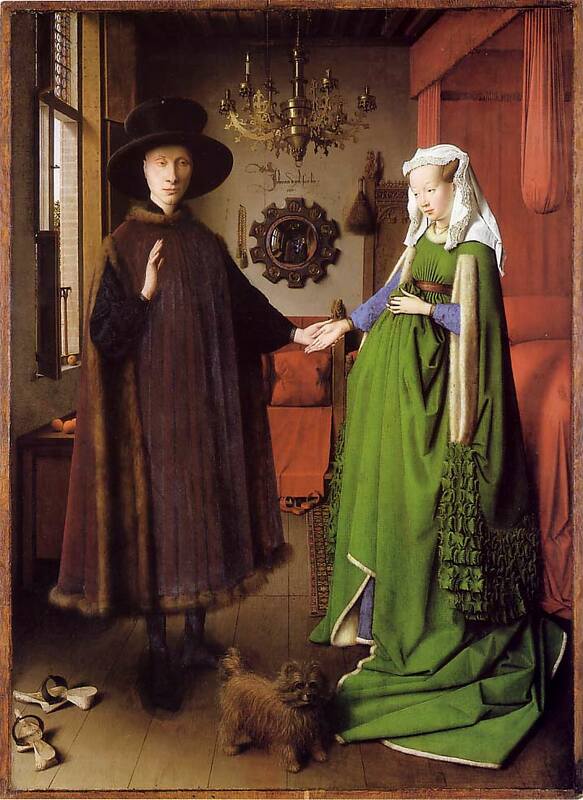 The Arnolfini depicts a rich merchant’s traditional marriage. Everything in the painting says wealth, status, formality, a serious contract being entered into. The woman appears pregnant but isn’t – it was the fashion then. The mirror symbolises virginal purity. 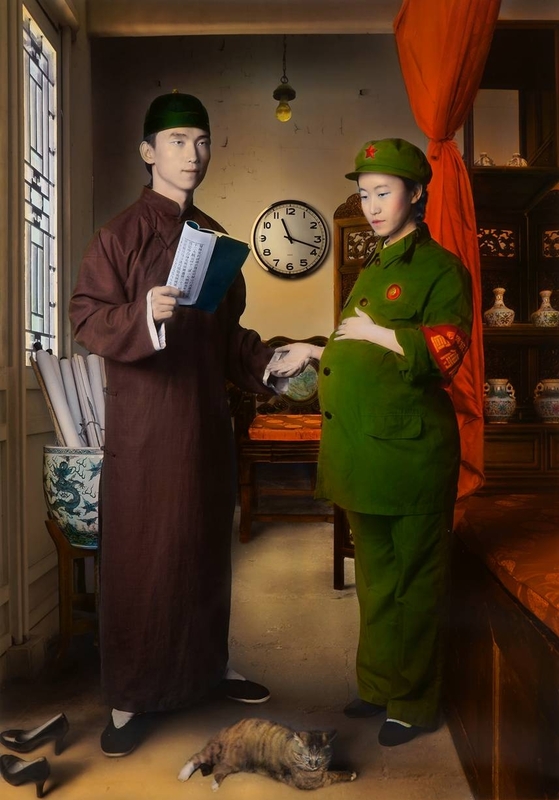 In Shi Guowei’s Wedding Invitation the woman is a red guard, and really pregnant. Whatever else stopped during the Cultural Revolution fornication carried on. The kicked-off high heels mean the same in China and the West. The loyal alert dog is replaced by a lazy cat, the mirror by a clock, a symbol of death. The bare bulb and peeling wall tell their story. Look closely. Is the clock not even straight?